Earlier this year BlackBerry released its once-popular messaging service, BBM, for iOS and Android in a bid to take on rapidly growing competitors like Facebook Messenger and WhatsApp. 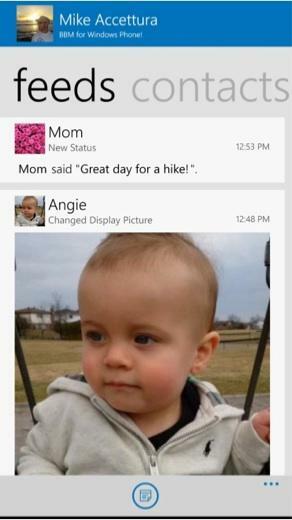 Now BBM is finally making the jump to Windows Phone. 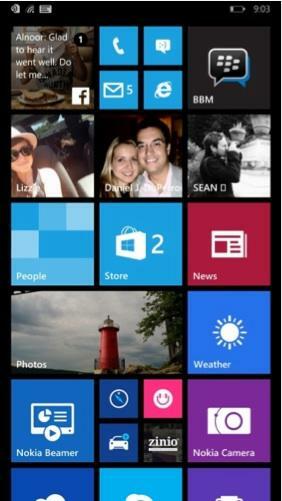 BlackBerry announced the news today, saying it has been flooded with requests to release a BBM app for Windows Phone. For now you can try out a beta version of the service, which lets you add up to 50 contacts, start private or group chats, share photos and more. In a few weeks the company hopes to release a final version of the app, adding stickers, BBM Voice and location sharing. 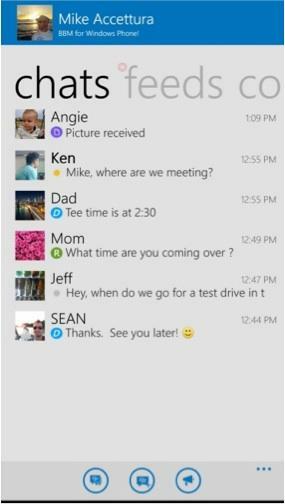 If you’re desperate to try out BBM for Windows Phone today hit the source link below to sign up for the beta test. BlackBerry notes that trying out the app early likely means reporting bugs, filling out surveys and providing general feedback. If that sounds like fun head over to BlackBerry’s website. If not, you’ll only need to wait a few more weeks until the app gets an official launch.